MPs send SABC board packing - SABC News - Breaking news, special reports, world, business, sport coverage of all South African current events. Africa's news leader. 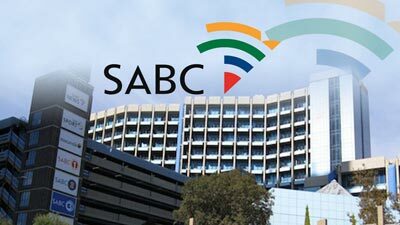 The SABC may issue retrenchment letters to workers at the beginning of February next year. The SABC board was sent packing by Parliament’s Standing Committee on Public Accounts (Scopa) for being ill prepared. Board members appeared before a late night meeting of the committee to discuss the corporation’s irregular, fruitless and wasteful expenditure. But MPs felt that questions on how the financial situation is being turned around could not be answered in a satisfactory way. The SIU gave a progress report to MPs – they’ve referred 23 matters for disciplinary action and four matters for criminal investigation to the National Prosecuting Authority (NPA). But the SABC board weren’t as impressive. They couldn’t explain to MPs how they will get the more than R500 million irregular expenditure down to acceptable levels. The chairperson of the SABC, Bongumusa Makhathini, tried to explain that they appointed a company but it was found they were not appointed properly. But MPs were not happy. Among others, Thapelo Chiloane and Nyami Booi, asked them to rather leave. “SABC must just go back and prepare … because now we are getting bits and pieces of info and it is not assisting us,” added MPs. The board is scheduled to appear before Scopa again on November 13, the same day the Commission for Conciliation Mediation and Arbitration (CCMA) facilitated section 189 retrenchment meeting is supposed to take place in Auckland Park. This entry was posted on 08 Nov 2018,07:22AM at 7:22 AM and is filed under South Africa. You can follow any responses to this entry through the RSS 2.0 feed. Both comments and pings are currently closed.